Chocolate with caramel is one of the best combos! Chocolate bars filled with creamy caramel, chocolate cheesecake with caramel sauce drizzled over top, chocolate ice cream with swirls of caramel, chocolate caramel cookies…and the list goes on. You know those holiday boxes of chocolates that come with the guide to tell you what each chocolate is before you bite into it? Which chocolates do you look for first? I always grab the chocolate and caramel ones followed by a chocolate and cherry combination. Yum! 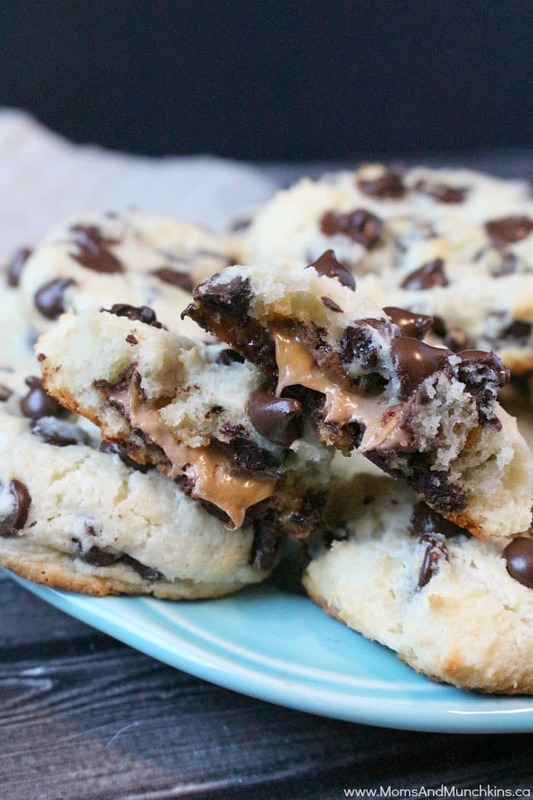 If you’re a fan of chocolate & caramel too, you’re going to love these Rolo cookies! 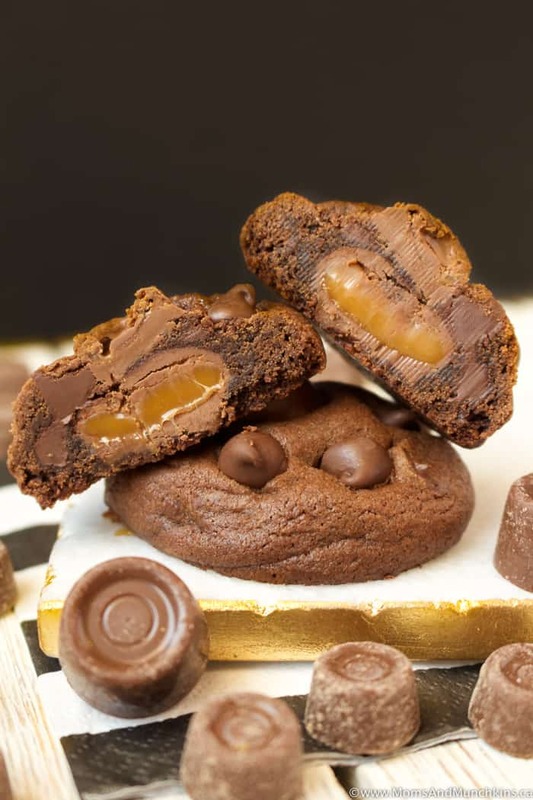 With a large Rolo hidden inside each cookie plus a mini Rolo melted on top, there is plenty of caramel to enjoy in this cookie. Although there are other options out there for chocolate caramel cups, I’d recommend sticking with Rolos for this recipe. I tried my first batch with chocolate caramel squares and the caramel came right out of the cookie. It just created a big (but still delicious) mess. Add in eggs and vanilla extract. Beat just until mixed. Stir in 1 cup of chocolate chips. Set the other ½ cup of chocolate chips aside for now. 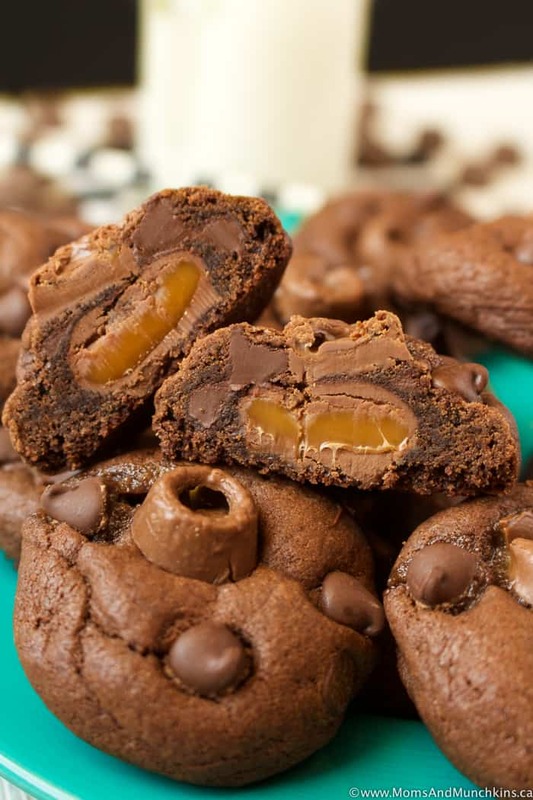 Form cookies into 1 tablespoon sized balls, flatten each and place a regular sized Rolo in the middle of each cookie then roll the cookie back into a ball shape so the Rolo is completely covered in cookie dough. Place cookies (2 inches apart) on baking sheet. 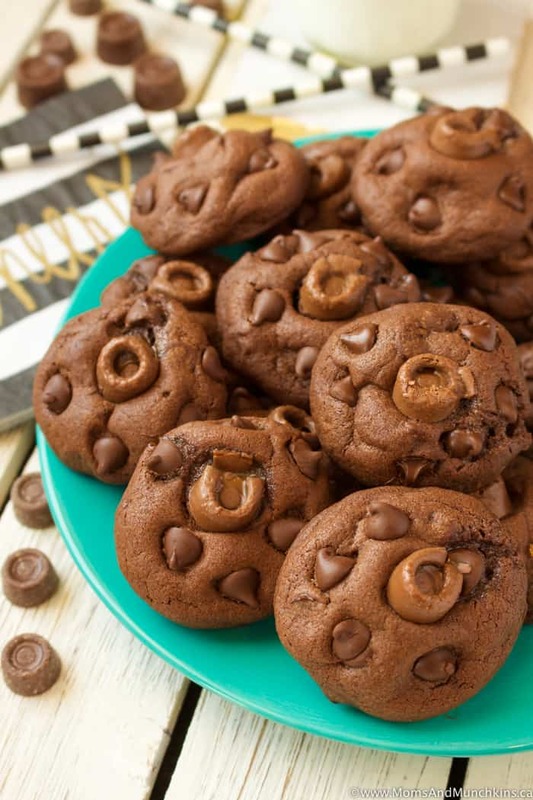 Place one mini Rolo on the top of each cookie then use the remaining ½ cup of chocolate chips to press a few into the top of each cookie dough ball before baking. Do you love chocolate & caramel desserts? Then here are a couple of my other favorites that you’ll want to check out! 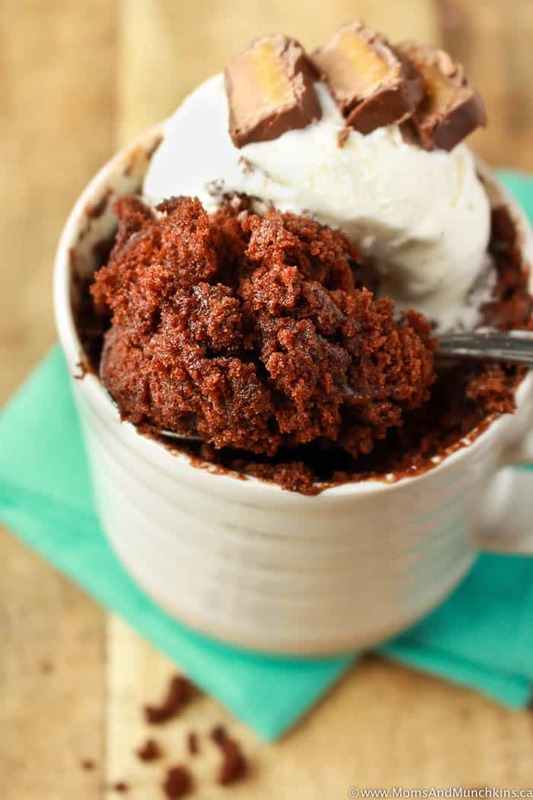 Chocolate Caramel Mug Cake – ready in less than 5 minutes! Chocolate Chip Caramel Cookies – delicious cookies made with a boxed cake mix, cream cheese and delicious chocolate caramel candy bars! For more tasty ideas, visit our Recipes page. Stay updated on the latest by following us on Facebook, Instagram, Pinterest and Twitter.